In 1969, shortly before the old Acworth depot, long abandoned by the railroad, was cut in half and discarded on the other side of Main Street, Moose McCray and a few friends rescued the old depot platform scales and moved it into a shed nearby where it languished for nearly 50 years. Despite the ravages of time, the well built frame and solid steel castings have held up well. The history of these scales tell a lot about innovation, history and the lives of the people who used them. In the 19th Century railroads were the major arteries of commerce in our young nation. And every manufacturing center was connected to this network by their local freight depot. As goods were transported through the depot, the weighmaster was as important as the engineer and conductor to trade. Most freight depot's had a platform scale large and sensitive enough to establish a weight and value to the goods in transit. One of the most celebrated manufacturer in the late 1900's was the Howe Scale Company of Rutland Vermont. Their workshop stretched nearly as long as the entire town and was the largest employer in the area. The depot platform scale was a simple mechanical marvel, a system of levers and fulcrums that allowed the device to compare a known weight to shipping container hundreds of pounds heavier and accurately measure it. The Howe scale was celebrated in the 1850's as one of the best and most accurate scales on the market. Winning the Grand prize among worldwide manufacturers at the Paris Exposition in 1857, the scale benefited from a unique patented device, a ball and socket joint above each corner of the platform plate which absorbed and cushioned the effects of loading and unloading the scale on the bearings. 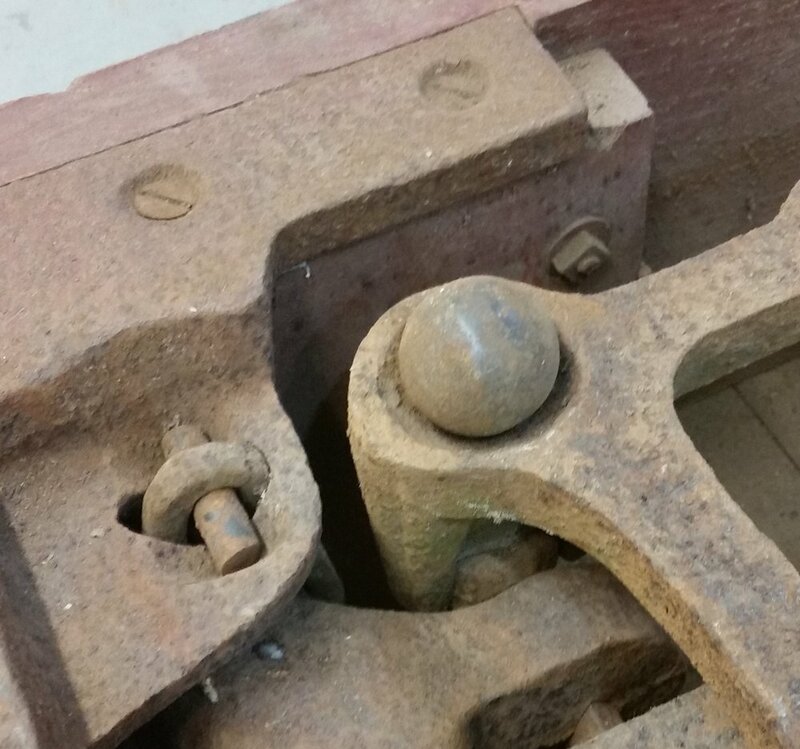 To minimize friction, the load bearings were made from hardened steel rods ground to a knife edge. The knife edge bearings or pivot bearings as they were called allowed the scale to handle the sizable loads that were necessary. 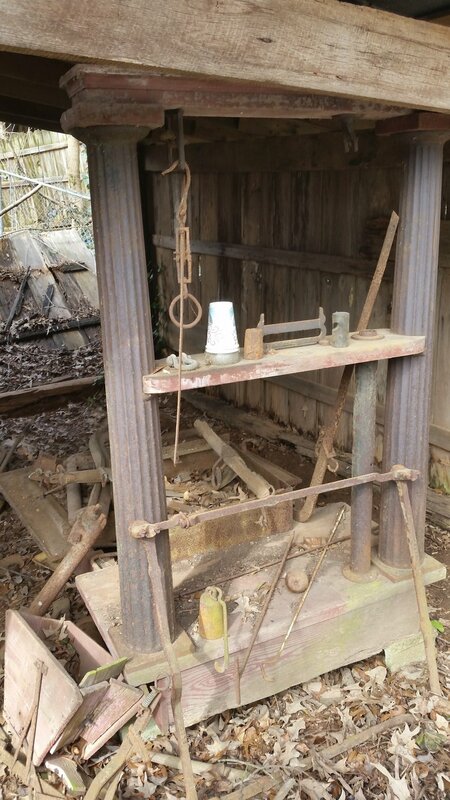 Howe scales were used to weigh everything from railroad cars, canal boats to cotton bales and tobacco crops in the south. The image below is a cutaway drawing of a Howe Railcar Scale from the late 19 hundreds. Note the ball sockets and large levers.